That’s not to say I regret the experience. Ever been to Burning Man? If so, I don’t need to explain my feelings further. If not, I suggest you google “Burning Man photo gallery” and feast your eyes on one of the most stunning visual portfolios the internet has to offer. It’s easy to see why, despite my body’s protests to the contrary, I would do it all over again: art installations the stuff of dreams, dance music pumped through dusty speakers, naked people covered in glitter wearing unicorn heads – everyone should be so lucky. 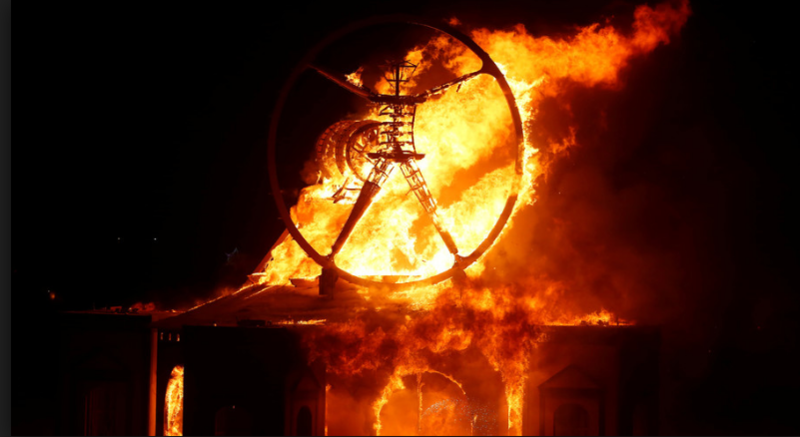 Here’s the thing, though: Burning Man is no walk in the park. More accurately, it’s a walk through the ancient Black Rock Desert lakebed, one of the most extreme environments in the American southwest. Nothing lives there in the summer. Not birds, not bees, not even, so far as I could tell after scraping my knees, much bacteria. It’s like the Dead Sea, but more dust and less salt. And as I discovered, it has quite an effect on the body. 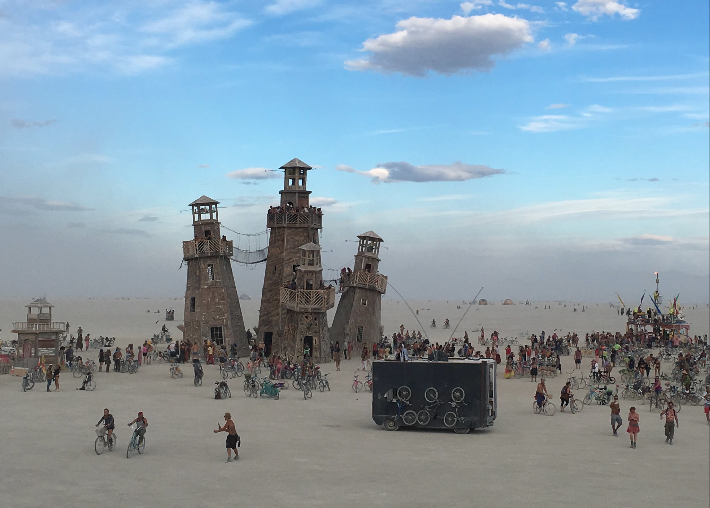 Every year at the end of August, a cohort of “burners” (numbering around 70,000 in 2016) descend upon Black Rock Desert to build Black Rock City, a whimsical, post-apocalyptic fantasy land where the week-long Burning Man festival is held. They arrive armed with all manner of survival gear, like dust masks and duct tape and... vinegar. Why vinegar? Well, unlike your traditional desert sand, the vast lakebed on which the semi-circular Black Rock City is erected contains powder-fine dust so alkaline in pH (9.97 to 10.21), it can “burn” your skin, eyes, nose, throat, and irritate other mucous-lined organs like your lungs and… take an educated guess. The vinegar counteracts that alkalinity when applied topically or ingested. There is minimal humidity on “the playa”, as the harsh, arid landscape is called – less than 10%. Summer temperatures are extreme, reaching over 100 degrees midday and dropping to near-freezing at night. 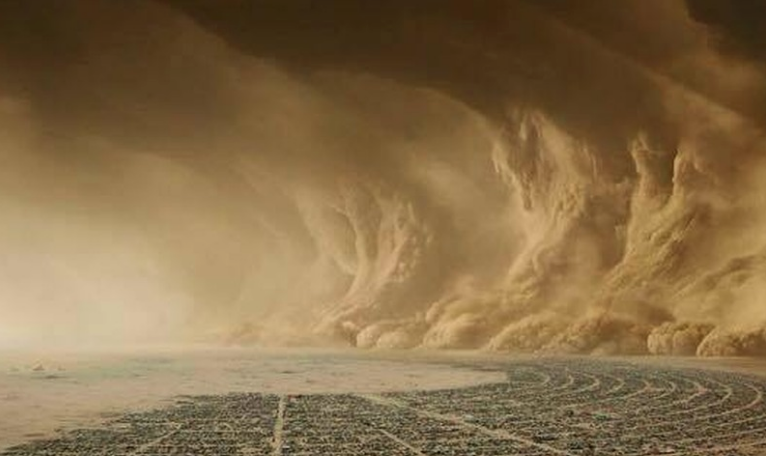 Some years, like this one, the playa offers up an assortment of dust storms with white-outs so bad you can’t see or breathe, and the only thing to do is stop in place and hunker down until they pass. You emerge looking like a relic from Pompeii. 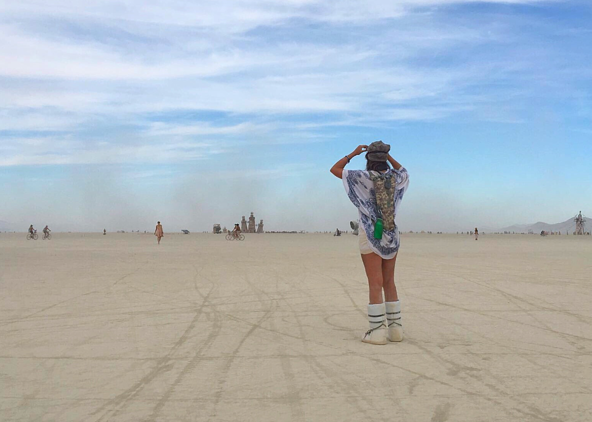 Here’s the scoop on my biomarkers that were “burned” by Burning Man – scientific proof that the adventure of a lifetime can come at a price (that’s worth paying). Yeah; I lost 21 years in a single Burning Man go-round. Check out the graphic evidence below. Glucose is highly correlated to mortality, and thus a heavily-weighted marker in our InnerAge calculation. It's the main culprit in my "age increase." This is unsurprising. I barely ate, barely slept, got into a bad bike accident (more on that later), drank alcohol, and felt chronically dehydrated thanks to low humidity, high daytime temps and lots of walking/biking/dancing over harsh terrain. I overcompensated by guzzling liters of water and Gatorade to replenish my wilted body. Ah, Gatorade. Full of table sugar, citric acid and artificial coloring – none of which are very good for you. But it's what I had access to and to be honest, without the electrolytes provided by that drink, I probably would've gotten sick. I don't consume sugar or artifical chemicals in my daily life, so my body revolted. My fasting glucose jumped from 66 mg/dL to 87 mg/dL. The last time it was that high was two years ago, during a poorly executed ketogenic diet phase while I was chronically sick. My Iron Group is not a happy Burning Man camper. In the span of just two weeks (from my pre-Burn test to my post-Burn test) my Ferritin, Blood Iron, and Transferrin Saturation plummeted. Not a normal occurence. 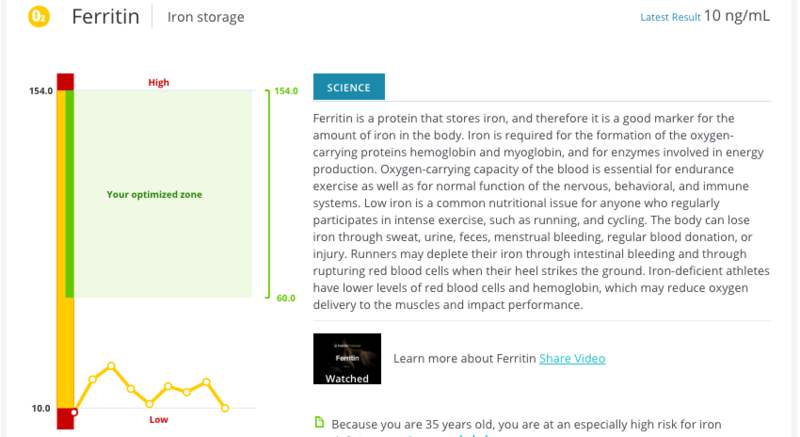 Ferritin is a protein that stores iron in the body, and it's critically important. As is the case for many physically active, menstruating females, my Ferritin has always been suboptimal despite efforts to boost it. But here's the thing: Ferritin is slow to rise and also slow to drop. Which is why I was shocked to see it plummet by over half, from 22 ng/mL to 10 ng/mL, in just a few days. It's not unheard of for Blood Iron to drop after an injury, during an illeness or for us fertile ladies, as a result of menstruation. Still, mine dropped by a whopping 62 points, from an optimized 89 ug/dL to an at-risk 27 ug/dL. 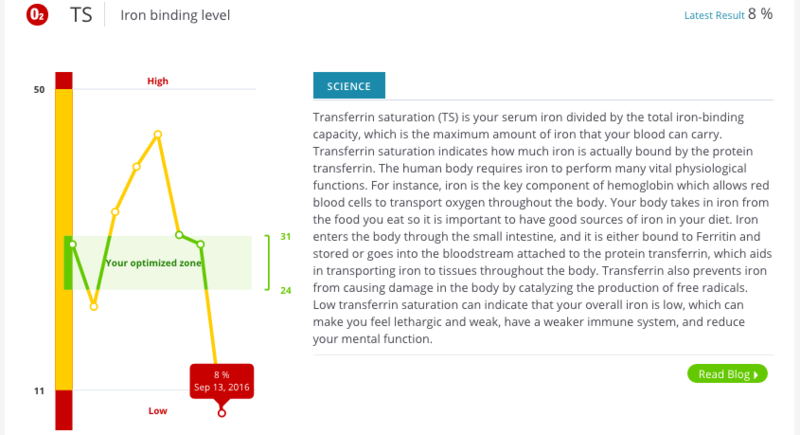 My Transferrin Saturation (TS) naturally followed suit, as TS measures the amount of iron that is bound by the transferrin protein. It dropped from an optimized 30% to an at-risk 8%. I asked our lead nutrition scientist, Ashley Reaver, RD, to help me understand what was going on. She was surprised to see such a sudden drop in Ferritin, but explained the "iron group cascade reaction" – first your Ferritin drops, then Blood Iron, then TS, and finally Hemoglobin. My results reflect this. 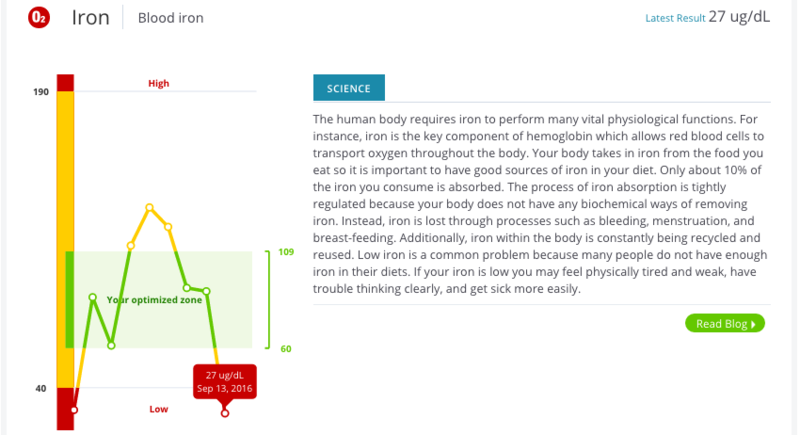 My iron group started out on the very low end anyway, and the fact that I lost gallons of fluids via sweat, exerted myself physically and didn't eat enough food to replenish iron stores, could certainly impact iron group biomarkers. 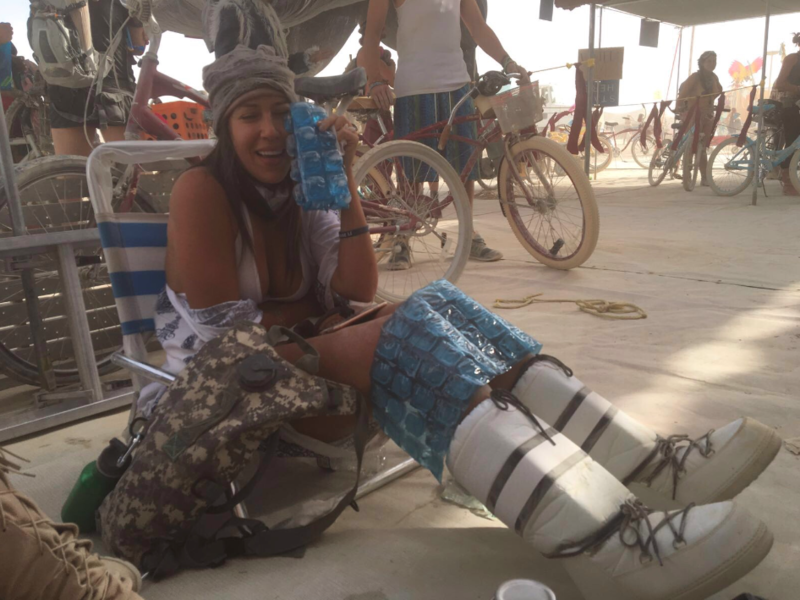 Here's another big variable: I got into a pretty bad bike accident at Burning Man. Someone hit my back wheel and sent me flying across the hard, dusty playa ground. It resulted in a mild concussion, a black eye, a fractured coccyx bone, a hematoma on my right knee and tons of bruising across my body. Oops. I looked like a sad lamb. FYI: Bruising results in loss of blood from circulation – the discoloration you see is blood pooling beneath the skin surface that's no longer usable by the body's circulatory system. Interestingly, some studies suggest that in the case of severe Traumatic Brain Injury (TBI), anemia is common. Patients who are not anemic upon admission to a hospital for a blunt TBI, may present as anemic later on during their stay (1). Thankfully, my head injury was not so severe. Surprise, surprise! 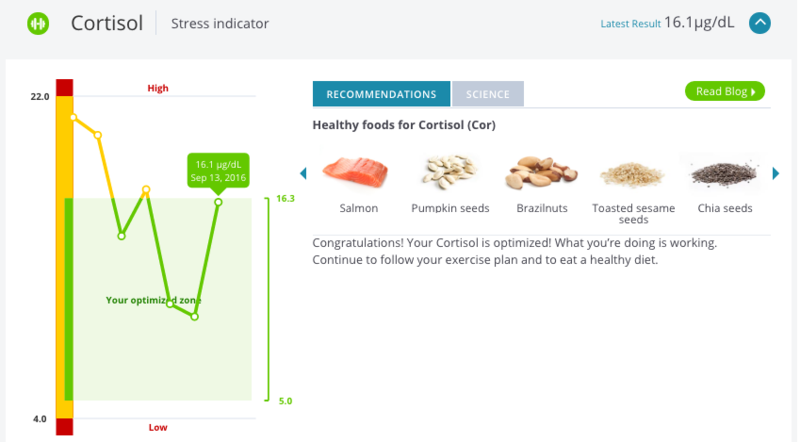 After a week of alcohol, no sleep, and a bang-up bike accident, it’s no shocker to see a Cortisol spike. I had managed to get my levels into a nice, comfy optimal zone at long last, and they shot up again. Not concerning, but interesting to see the result of one's environment manifest so immediately... 9.7 µg/dL to 16.1µg/dL. Other biomarkers that got burned include Testosterone, which shot up from 29 ng/dL to 51 ng/dL, putting it "at-risk." But as our expert Ashley points out, there's not much research out there for female subjects when it comes to how that hormone behaves and why. My body was under a ton of stress, so perhaps it ramped up as a protective effect. That's an educated guess. 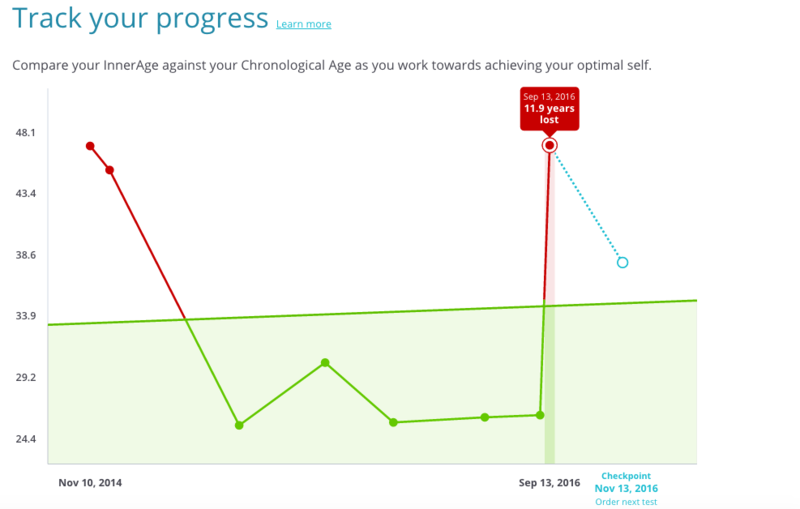 A shocking suprise – my Liver Enzymes Group not only stayed optimal, but improved! Perhaps it was the playa dust. Or perhaps my liver really loves vodka. Either way a head-scratcher but, phew. I'm following my new InsideTracker recommendations religiously, including consuming my Focus Foods like collards and avocado, plus supplements like vitamins D and C. Did you know you can now set daily text reminders from your dashboard, like I have?! added 50 mg iron bisglycinate daily, consumed with 1000 mg vitamin C to aid in absorption. added a daily dose of chlorophyllin (brand name, ChlorOxygen) which is said to help build blood. Chlorophyll acts like hemoglobin in our bodies, increasing oxygenation and nutrient delivery to our cells. Ultimately, I wouldn't trade a day of the fun I had at Burning Man for a better InnerAge – you have one life to live, and enjoying it is as critical as anything else – but I'll certainly be testing again in a month and posting another blog detailing what I've done to get my iron biomarkers and InnerAge back on track! Have your own wild biomarker story to share? We want to hear it! Email us. 1) G. H. Utter, K. Shahlaie, M. Zwienenberg-Lee, and J. P. Muizelaar, “Anemia in the setting of traumatic brain injury: the arguments for and against liberal transfusion,” Journal of Neurotrauma, vol. 28, no. 1, 2011.